Have you answered the cooperative question of the month yet? 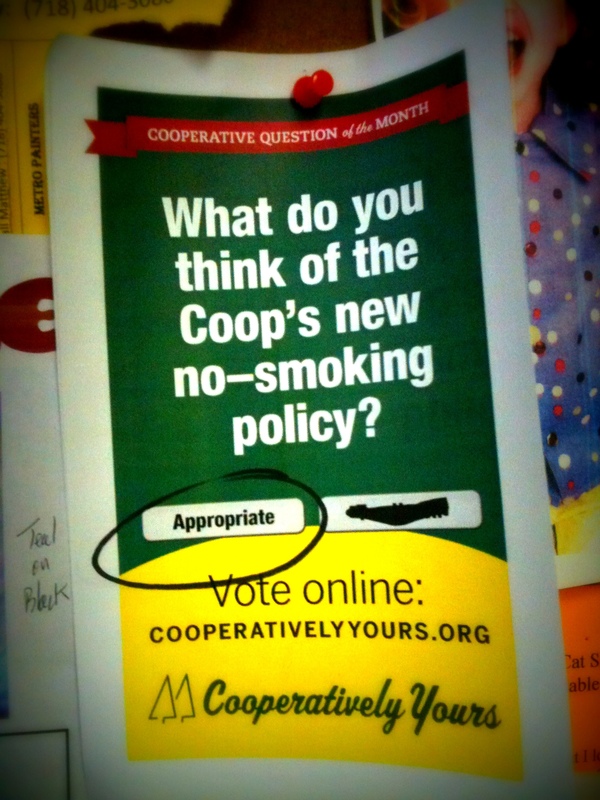 What do you think of the Coop’s new no–smoking policy? Answer now to have your voice counted (and leave a comment there if you have more to say).